Welcome to West Cork Distillers. Welcome to their Dha Chasca Single Malt – exclusively released for the Musgrave Group of groceries. It’s a sherry cask matured single malt finished in heavily charred bourbon casks – and it’s all West Cork Distillers liquid. Originally founded in Union Hall & now based in Skibbereen – it should come as no surprise that a couple of the original West Cork team came from a fishing background. There is an emblem of a trawler proudly displayed on the simple yet attractively designed bottle labels to denote this. Fishermen are a hardy lot. They have to be resourceful, adaptable & highly self-reliant on the open seas. Couple those skills with a friend grounded in food research & development and you have the kernel of West Cork Distillers. There was no fancy Frilli stills from Italy for these lads – nor a lengthy order time for Forsyth’s finest from Scotland. These lads largely built their own kit! It may not be pretty – but it is effective. West Cork Distillers have been quietly and industriously honing their distilling skills over the last few years. They have also invented & fabricated their own barrel burner to char the casks to their own specifications. 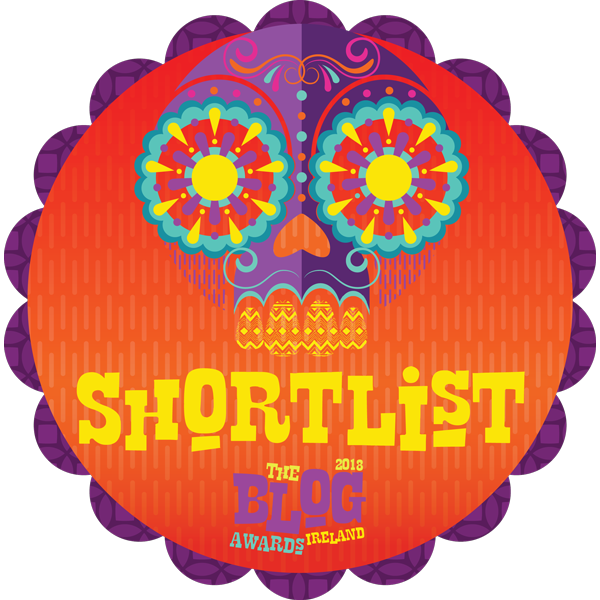 And if you want to see it in action read the Whiskey Experts excellent blog on West Cork here. Dha Chasca is one of a few recent expressions that only contain their own distillate – which attests to the journey they have taken in becoming a fully fledged Irish whiskey distillery. There is a strong sherry note on the first sniff – mellowed by sweet bourbony notes of vanilla & caramel from the charring. On tasting the warm notes of vanilla dominate to begin with. The dry sherry slowly makes it’s presence felt before a welcome hint of spiciness. The bourbony notes fade to quite a dry mouthfeel with the spices tantalising & teasing the tongue as it slowly fades. Unlike some of their earlier releases, Dha Chasca has no added caramel. This seems to mirrored in later West Cork expressions and could almost be a defining feature of the new generation of Irish distillers & bottlers. Teeling, Hyde, Pearse Lyons & JJ Corry have all eschewed the common practice of putting e150 in their offerings – unlike most of the multi-nationally owned established distillers. This seems to be a trend in Scotland too with the likes of Kilchoman, Bruichladdich & Bunnahabhain now stating no added caramel in their releases. Whether this trend will be the start of something more seismic – like the introduction of the Coffey Still in establishing blended whiskey – remains to be seen. It’s a move I’d be pleased to see growing & I welcome West Cork Distillers embrace it. Despite what the industry says – I believe you can taste the difference. The Dha Chasca is clean, crisp & fresh. I suggest you get down to your local SuperValu or Centra to try it out for yourself. An impulse buy at my local supermarket of a whisky I hadn’t yet tried before – nor knew anything about – led me to a rather pleasing drink as well as very entertaining advertising. William Lawson’s Blended Scotch Whisky is one of those rather plain bottles of whisky that adorn drinks shelves all over the place and I had avoided it – up until now – but as it was on offer – and I’m always on the lookout for a new taste experience – I thought I’d give it a go. Now I believe behind every bottle of whiskey is a story waiting to be told – and this bottle certainly didn’t disappoint! To start the whole show off I poured myself a glass – left it to breathe – and consulted my rather old edition of the Mitchell Beazley Pocket Guides to Scotch Whisky compiled by none other than the esteemed Charles MacLean. It’s an encyclopedic source of information on all things related to Scotch whisky – the distilleries, their single malt releases, the blended scotch expressions, owners and bottlers as well as some associated data on sales and distribution pertaining to the year of publication – the most recent edition on amazon was 2006. From this publication I gleaned that a bottler and blender by the name of William Lawson first created this blend in 1849. Over the years it’s base moved around a bit before settling in Coatbridge near Glasgow. To secure malt for blending the Macduff Distillery was purchased and the whole operation is under ownership of Bacardi. So far this history resembles that of many of the other classic scotch blends which originated in the mid 19th century and are still around today – via many changes of home base and ownership. Charles gave no tasting notes so I consulted the computer and garnished many positive remarks for William Lawson’s. At this point I gave in to temptation and had a sip. I was rather surprised by the fresh light fruity taste with no peat element at all. Very unexpected to the slightly harsh grainy/peaty flavour profile I’m accustomed to with entry level blended scotch. Mmmmmm, not bad – really rather good indeed! Further investigation led me to a very enjoyable discovery. Fun – frivolous – full of cliches, stereotypes and innuendo – but laugh out loud funny. 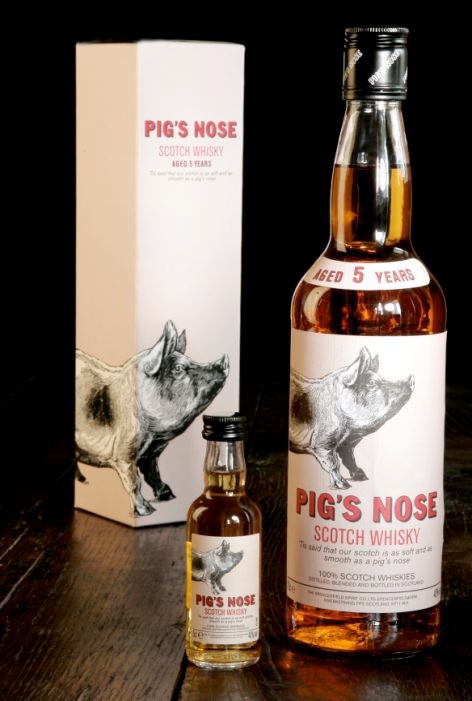 Drinking this whisky was a good experience – but watching their adverts takes it to another level! Ever wondered what was under a Scotsman’s kilt? Let William Lawson show you. There are even different expressions of the standard blend available – sadly not at my local store – but the adverts sure are hilarious and so refreshing. I was hooked and kept searching for more whilst tasting more of this lovely little blend. William Lawson’s advertising department certainly don’t hold back – even to the extent of using flash mobs of finely buffed Brazilians in kilts riding horses parading down Recife dispensing whisky shots to stunned passers by. The music track used was also pretty cool – Louis XIV with their eponymous song Louis XIV. This led me down another path – that of cool music used in whiskey promotion. Teeling used Kid Karate‘s track Louder about a minute in on their video of the pot stills arriving at Dublin for the new distillery – Teeling’s whiskey certainly tastes louder to me! Johnnie Walker also entered the cool music charts with their Plastic Bertrand backing track hailing from Belgium whose Belgian Owl Single Malt is a very cool whisky. Johnnie Walker Black Label is a descent example of a lightly peated blend from Scotland. In contrast – Tullamore DEW from only down the road to where I’m based have taken a more traditional theme to their ads. Whilst Jameson from Cork have also gone down the comic route with a series funny sketches in their promotional videos. We then get into the realm of slightly odd with this one from Canadian Club. Whilst the videos from Japan dispense with the sexualisation for a more minimalist approach. Very refreshing, and even a mythical approach? It seems as if there is no end to the permutations the ad folks can come up with to promote your drink of choice. To round up my peek at the wonderful and wacky world of whiskey advertising I’ll finish with a seemingly sombre and severe ad for Whyte And Mackay – another fine scottish blend if you haven’t already tried it. You’ll notice all of the ads are for blends. It’s not surprising. 90% of all whiskey sold is in the form of a blend. Simply chasing the money. You’ll also notice that most of the ads imply that drinking whiskey improves your “manliness”. Apart from the Japanese, the only other brand to show a female tasting whisky was my new friend William Lawson’s. Ironically – they also showed the male of the species as the sexualised object. loved the cool music they chose as backing tracks. Whisky dosen’t come better than that. A true smorgasbord of a sensory feast – taste – smell – mouth feel – visual delight – auditory pleasure. What’s your favourite whiskey video? Send me your best shot! For the day that’s in it, Phil Lynott is yer man. Quite how Paddy’s Day came to be associated with drinking both in Ireland and abroad is a bit of a mystery. Suffice to say other countries national days also have this reputation – noticeably Scotland’s Burn’s Night which focuses on drinking whisky as well as eating haggis – which is a lovely combination if you haven’t already tried it. Anyway, it’s wise to be Drink Aware on this day and point out there are many alternative exciting non-alcoholic events taking part around the world on Paddy’s Day to enjoy. However, I choose not to abstain. 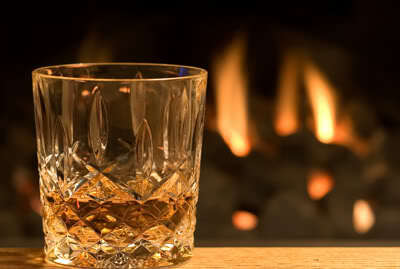 I choose to drink the amber nectar, the uisce beatha, the aqua vitae, the water of life. Letting the train take the strain, I set off on a bright crisp sunny morning from Athlone and arrive in a cloudy overcast Dublin. My 1st port of call was the Old Jameson Distillery in Smithfield. This distillery closed in 1971 as part of the amalgamation of Paddy, Powers and Jamesons into the formation of Irish Distillers in 1966. Production of all brands moved to the New Midleton Distillery which opened in 1975 and production of all 3 brands continues there today. Not having booked on-line I got rather worried at the sea of tourists queuing up and taking pictures. My fears were confirmed as all the tours were booked out for the next few hours. The reception area, bar and shop were all very well decked out with two lovely whiskey bottle chandeliers dominating the scene but as I had other fish to fry, and the bar was not yet open,I left amidst a flock of Frenchmen topped with green hats, I only hoped they had advance tickets! The recently opened Irish Whiskey Museum beckoned as my 2nd destination. It’s new clean lined decor and whisky memorabilia shop with adjoining bar and friendly staff impressed me. The guide informatively, enthusiastically and humorously led us through a potted history of Irish Whiskey with the aid of tastefully done set scenes and clever audio visual displays including actors in period costumes to bring the story alive. 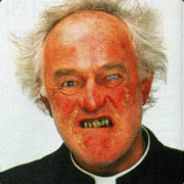 Interestingly one of the actors was Fr Jack of Father Ted fame, Frank Kelly. I didn’t recognize the others. A stunning display of old Irish whiskey bottles mirrored the rise, fall and subsequent current re-birth of the Irish whiskey industry before being led to the all important tasting session. Not being tied to any manufacture allows the Irish Whiskey Museum to give a broad range of whiskeys for it’s customers to sample. The 4 offered on my tour are subject to change and may not represent future or past tours. This is very refreshing as it allows for new entrants into the market. Not surprisingly personal taste prevailed when asked to name the favorite tipple. A Spanish couple opted for the stronger and fuller flavoured Teeling, a German couple opted for the Irishman whilst I went for the unexpectedly good Powers. Suitably warmed up it was on to my 3rd stop of the day in the famous Celtic Whiskey Shop. A true cornucopia of whiskey of all descriptions with a mouth watering display for the eyes to feast on. I could have spent hours going through every bottle possibly sampling it’s contents but thankfully for the staff (who would prefer buyers to browsers, although both are welcomed) and my health (I wouldn’t be able for so much Whiskey) I already had a bottle in mind. 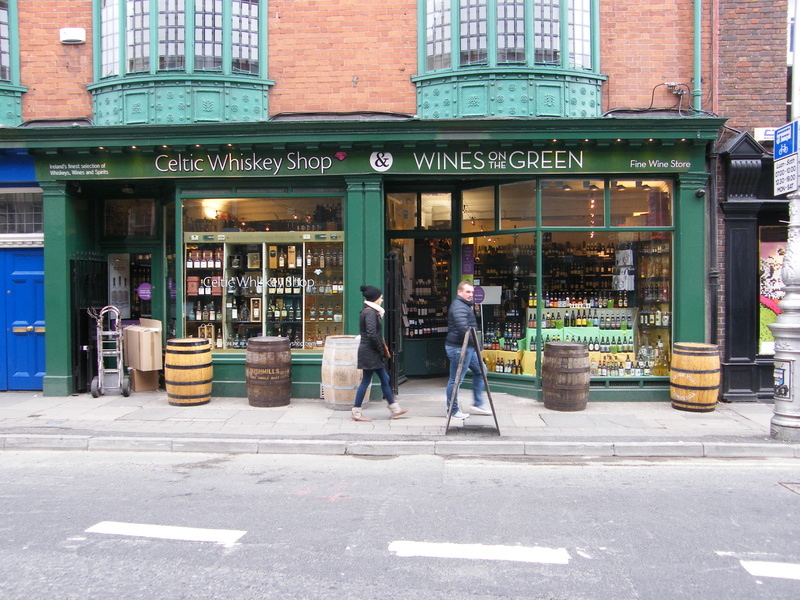 The shop, through it’s owner Ally Alpine, also runs The Celtic Whiskey Club which conducts whiskey tastings, mails out samples for on-line discussion and offers Whiskey Of The Week to members. Today was the chance for the Hyde 10 yo Single Malt to shine. With a sample taste I duly bought a bottle along with a miniature of which the shop has a fantastic selection. This is a great idea as for the price of one full sized bottle you can sample 6 or 7 of these handy 5cl bottles to try out first at your leisure. As it had already gone 1pm my stomach was in need of more substantial fare. 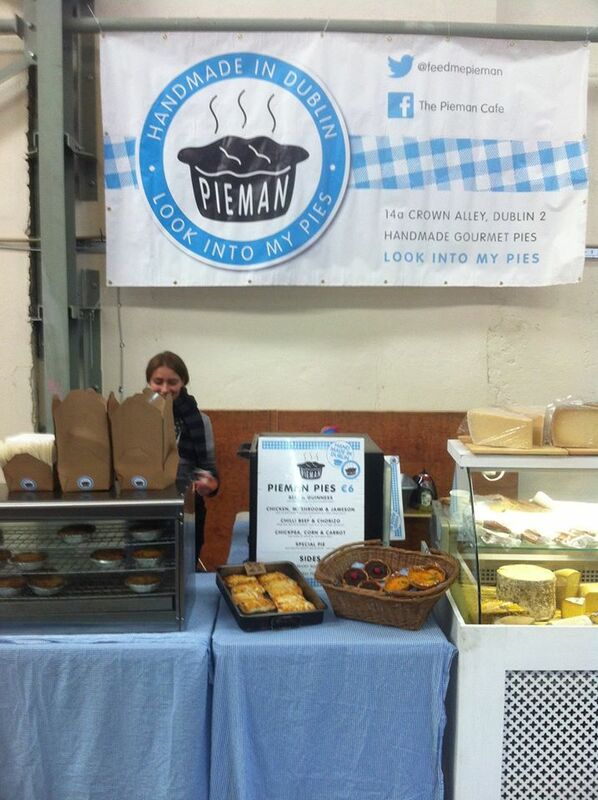 My prime objective and final port of call was the Irish Beer and Whiskey Fest in the RDS where I knew the Pieman would have their stall. On entering the hall I made a beeline for the wonderful Pieman who didn’t disappoint with a Chicken & Mushroom pie with added Teeling Whiskey for flavour. This was washed down with Porterhouse Red Ale, a delightful combination. One of the lovely things about the festival are the communal tables and chairs dotted about the place for folks to sit, eat , drink and chat. During the course of my visit I met a South African truck driver now residing in Tullamore, a retired Dublin gent, a young American couple living in Germany and a gaggle of Dublin based Brazilians with a French woman in tow. Conversation flowed easily over what drinks were liked, tips on which beer to go for next and general chat all conducted in a colourful camaraderie of common consumption! Lunch over I was now on the lookout for desert. The Irish Single Pot Still display provided it as well as making up for missing the Jameson tour earlier in the day. 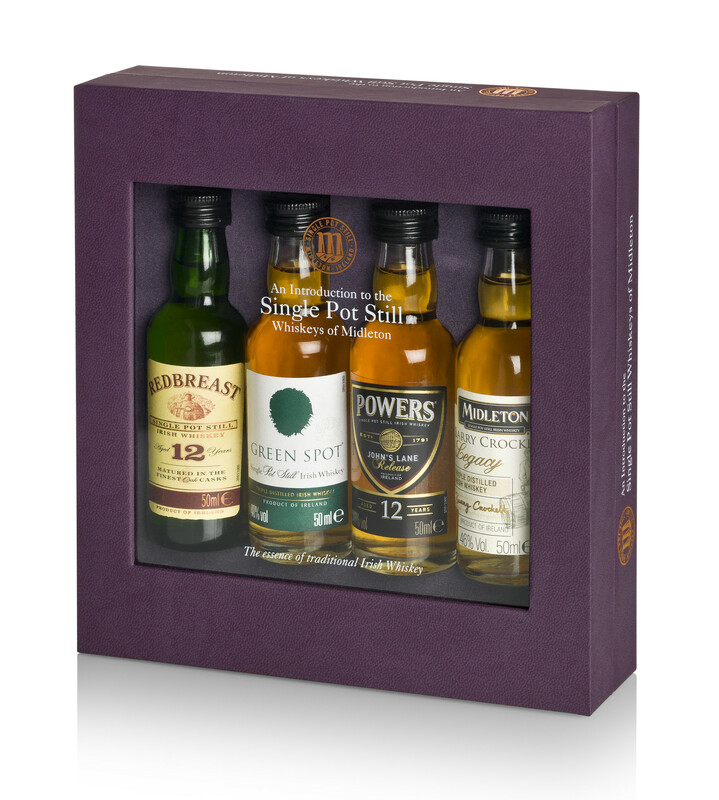 Whilst browsing in the whiskey shop at the Loop in Dublin Airport last month I noticed a 4 pack miniature box of Irish Pot Still Whiskeys. As these are the very whiskeys which made Irish Whiskey number 1 back in the late 1800’s before the rise of Scotch, I was intrigued. Now I had my chance to try them out! The staff very friendly made up the 4 samples and gave me a running commentary as I nosed then tasted each one. At this stage of the game my memory and tasting notes were a little muddled by the rich, complex and powerful flavours these whiskeys possess. Greenspot, Redbreast. Powers John Lane and Barry Crockett Legacy truly deserve the marketing campaign that is underway to rebuild the status these whiskeys once held. Again I chose the Powers expression for a full measure shot due to the rich body coupled with a spicy taste. I enjoyed the drink so much I missed the whiskey talk due to be delivered by John Teeling which was a bit of a shame. I did however make an earlier informal chat with 3 passionate beer makers as part of the Meet The Brewers talk. Kinnegar of Donegal, Mountain Man of Cork and Black Donkey of Roscommon. All told anecdotes about small brewers trying to survive in the market place. I just can’t wait for Black Donkey’s brilliant new advertising idea to bear fruit! Unfortunately I had a train to catch, so my last whiskeys were a taste off between the Pearse Lyon Reserve and the Town Branch Rye at the Alltech stand. The Rye won out with it’s stronger more robust taste and a generous enjoyable shot delayed my departure resulting in a dash with only minutes to spare. I was tempted to open my Pig’s Nose miniature on the train but quit when I was ahead to opt for tea and crisps from the trolley service. I also erred on the side of caution and went for a Crafty Irish Red Ale which is part of the Rye River portfolio from Kilcock to accompany the evening meal. That brought my very satisfying pre-Paddy’s Day celebrations to a happy end. I do hope you enjoy your day as much as I did mine. I’ll be sober for the actual event – I’m the driver.